In 2017, Jeff Taylor purchased San Diego-based Bird Rock Coffee Roasters for an undisclosed amount. In March, the company received a 93/100 rating from Coffee Review. It was a conversation with a very candid customer in the early 1990s that set Jeff Taylor, president and co-owner of Bird Rock Coffee Roasters Inc., out to find the best coffee in the world. At that point, Taylor made it his mission to make sure the coffee he was providing his customers was top quality. He first taught himself how to roast his own coffee. Then he began traveling to places like Guatemala, Colombia and Africa and forging direct-trade partnerships with the best coffee growers he could find. It was a huge undertaking, but, for Taylor’s intents and purposes, it worked. Today, Taylor not only owns three PT’s Coffee locations, which recently received a 93/100 rating from Coffee Review, in 2017 he purchased San Diego-based Bird Rock Coffee Roasters for an undisclosed amount. 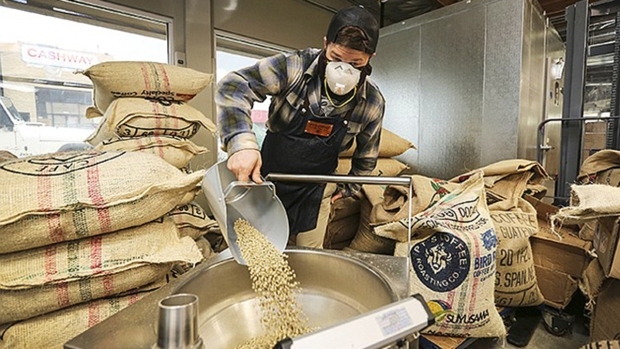 In March, Bird Rock Coffee Roasters also received a 93/100 rating from Coffee Review. With Jeff Taylor as president, the sales of the privately-owned Bird Rock have doubled in the last two years. Here, roaster Brandt Rakowski measures green coffee beans to be roasted at the Morena Boulevard Bird Rock roastery. With Taylor as president, Bird Rock has grown from three locations to six, and the sales of the privately-owned company have doubled in the last two years. In February, Bird Rock signed a distribution deal that brought its products to all 27 Gelson’s Markets in San Diego, Santa Barbara, Los Angeles, and Orange County. Bird Rock also signed a contract with Karl Strauss Distributing, a division of Karl Strauss Brewing Co., that will introduce Bird Rock Coffee Roasters nitro cold brew to over 100 restaurants and bars in Southern California. In mid-March, Bird Rock Coffee Roasters, in partnership with Santa Barbara-based Frinj Coffee, sold the first California-grown coffee. The varietal, a certified organic Cuicateco, scored a 92 from Coffee Review and sold out within hours. Lindsay Mesta, co-founder and chief operating officer of Frinj Coffee, said Bird Rock Coffee Roasters was the right partner to introduce the first California-grown coffee because of its meticulous operation and also because of its Morena Boulevard roastery location. Bird Rock offers its customers choices, said Mesta, ranging from the everyday coffees and unique and rare coffee experiences such as private cupping events. 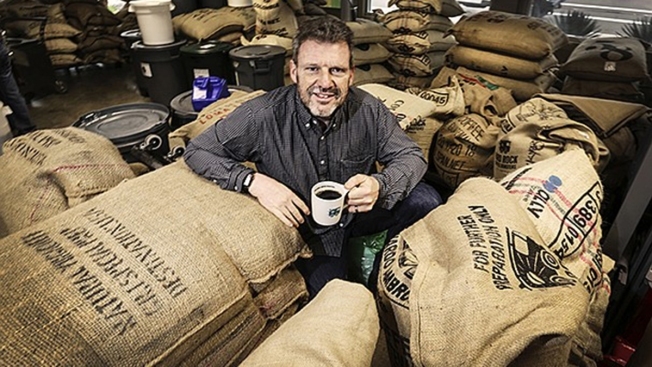 Taylor’s path to better coffee has not been an overnight success. When he began his search, it took him two years to perfect roasting. After realizing he needed to take his research one step further, he began traveling to various parts of the world to better understand the process. What he found was that disgruntled farmers just weren’t taking coffee-growing seriously because they were underpaid. So, around 2001, Taylor and a handful of other coffee enthusiasts from around the world set out to encourage these growers so that they could get better coffee. Around the same time, Taylor started to get involved with the Alliance for Coffee Excellence organization and its annual “Cup of Excellence” competition. The idea was to encourage growers to take a small piece of land and treat it like a child by nurturing it and taking good care of it, said Taylor, and then submit those beans to the competition. The Cup of Excellence would invite Taylor and others like him to rate the coffee and whatever coffee got the highest rating would be auctioned off to specialty coffee roasters, including Taylor, on the internet. Fast Facts About Bird Rock Coffee Roasters, Inc.
Company Description: Roasters of direct-trade and locally sourced coffee with six brick-and-mortar coffee retail stores in San Diego County.